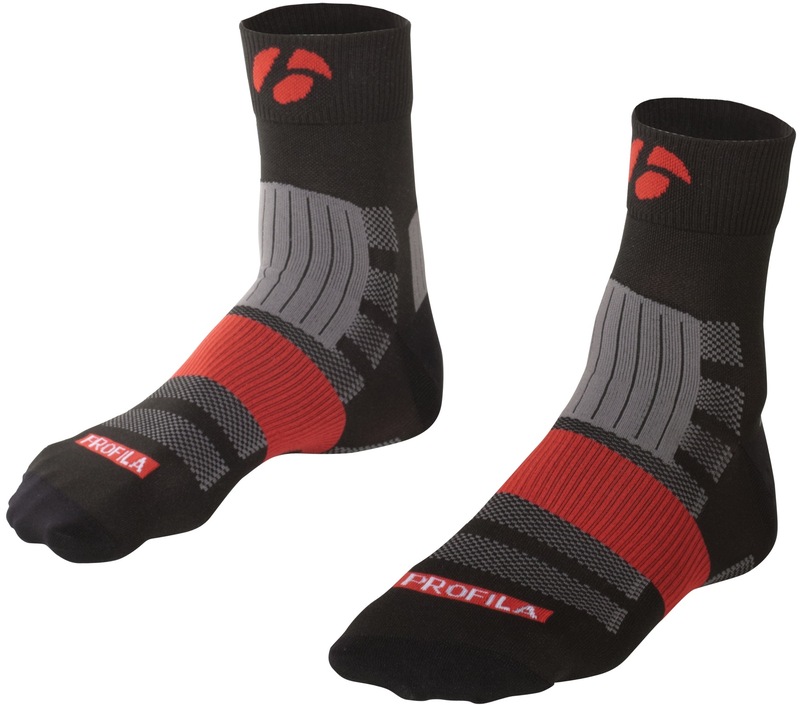 Premium training and racing sock with pro-level performance and features. 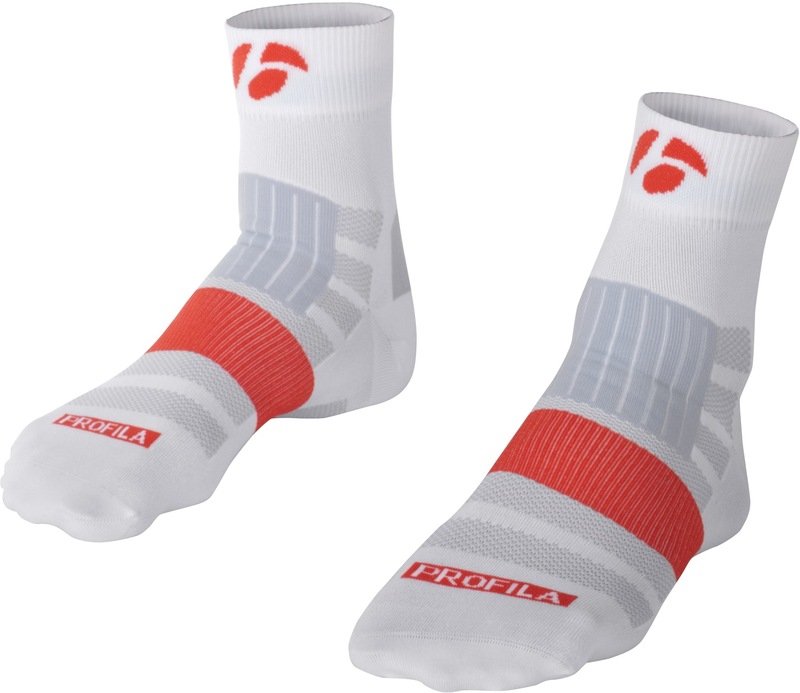 Profila Dry fabric with Olefin provides excellent stretch and moisture transfer for dry, comfortable feet. Arch compression for a stay-put fit. Strategically placed cushioning at Achilles and instep reduces pressure during pedal stroke. Strategically placed ventilation on top and bottom provides great breathability. Flat toe seam for toe box comfort. Knit-in labels for easy post-wash sorting. Traditional 6.35cm cuff.